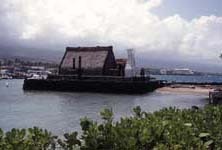 The Ahu'ena Heiau rock platform base, perimeter wooden fencing, Anu'u Tower and an uprooted ki'i were all damaged from the recent tsunami. 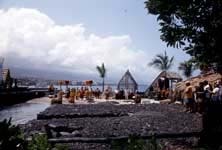 Ahu'ena Heiau, Inc. has surveyed the damage, consulted the State Historic Preservation Division and is working closely with a qualified historical site restorations coordinator. 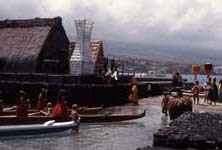 We are currently seeking grants to repair and restore the tsunami damage. 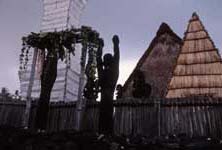 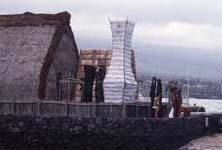 The Ahu'ena Heiau (recently restored) is the religious temple that served Kamehameha the Great when he returned to the Big Island in 1812. 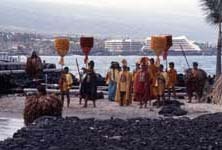 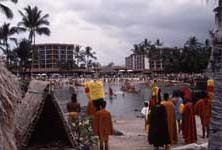 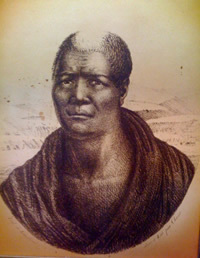 A few months after the death of his father, in a time of political consternation and threat of civil war Liholiho (Kamehameha II) broke the ancient kapu system, a highly defined regime of taboos that provided the framework of the traditional Hawaiian government. 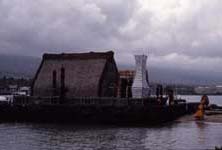 Not until the mid-1970s, over 150 years after these historical events unfolded, was an accurate restoration project under taken. 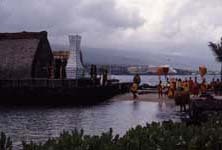 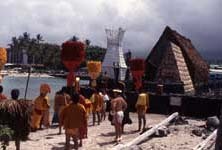 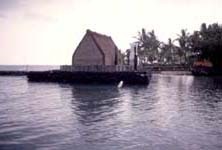 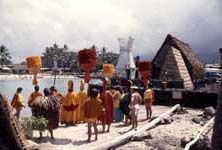 A community-based committee Ahu'ena Heiau Inc., formed in 1993 to permanently guide the restoration and maintenance of this national treasure.